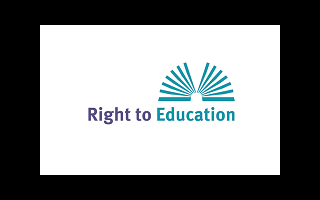 The Right to Education Initiative is a global human rights organisation focusing on the right to education. Established in 2000 by the first UN Special Rapporteur on the right to education, Katarina Tomaševski, RTE was re-launched in 2008 as a collaborative initiative supported by ActionAid International, Amnesty International, Global Campaign for Education, Save the Children and Human Rights Watch. Since May 2017 RTE is registered under UK law. We are currently seeking a volunteer to assist in the research work of RTE and be part of a small team based at our office in London. The primary purpose of this internship is to support the research of a practical and comprehensive handbook on the right to education. As well as being committed to the right to education, you will need a solid understanding of international human rights law, including economic and social rights. You will need excellent legal research and analytical skills, and will help us draft case studies, background papers, reports, and case-law summaries. monitoring the news for right to education related items, such as important court decisions, developments in the field, new reports, resources, events, etc. At RTE we recognise that you will be giving your time and effort freely and in return we will take your professional development seriously. Only serious candidates looking to work in the human rights, humanitarian, or development sectors should apply. In terms of time commitment we require at least two days, ideally three, per week. The legal research internship is offered for a maximum of six months but we expect a minimum commitment of four months. As an entry-level position primarily aimed at students and recent graduates, we understand that you may have ongoing academic and/or other working commitments. We will therefore endeavour to be flexible in our working arrangements and accommodate important deadlines. This position is unpaid but we offer a stipend of £14 to cover travel and lunch expenses. The internship will be based in London. Interested applicants should email a CV and covering letter to info@right-to-education.org addressed to Erica Murphy with ‘Legal research intern’ in the subject heading by Sunday 11th February. Please indicate in your covering letter how long you can commit to the internship for, how many days per week you can commit to, and when you can start. Interviews will take place on Thursday 15th February 2018. The successful candidate will start the week beginning 19th February.